If you style your own hair or get braids, the chances are that you've watched hours of videos on YouTube about hair care tips! This month, we met our favorite YouTuber and hairstylist Bre’aunna Caro (@dopeaxxpana). 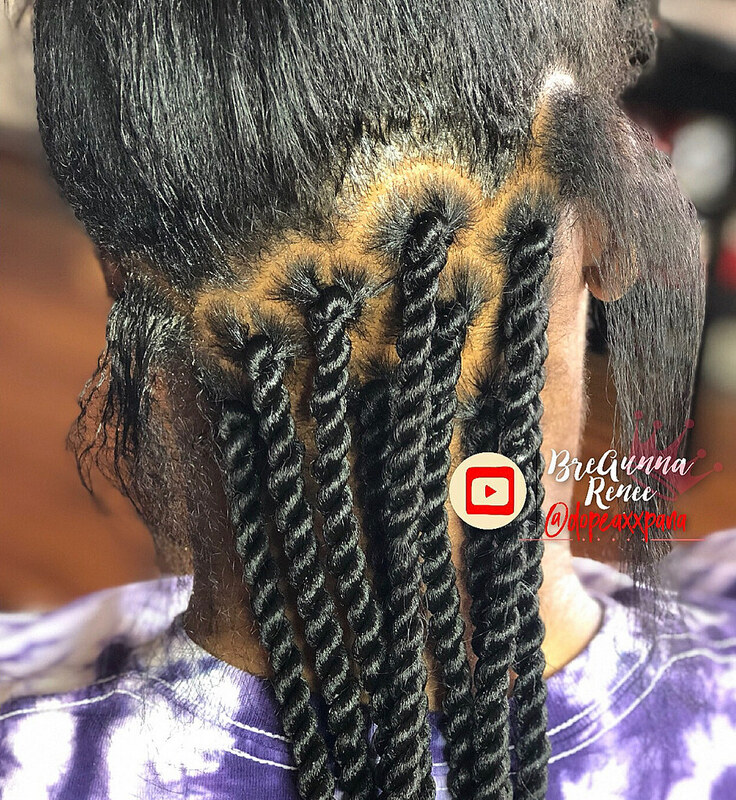 Most people who know Bray from her YouTube channel can testify to the quality and neatness of her tutorial videos on hair braiding, conditioning, and styling. Her talent and advice are so reputable and useful, that anyone interested in learning how to braid hair would watch and subscribe. This lovely lady goes far beyond giving hair care tips; she is also a self-taught stylist. 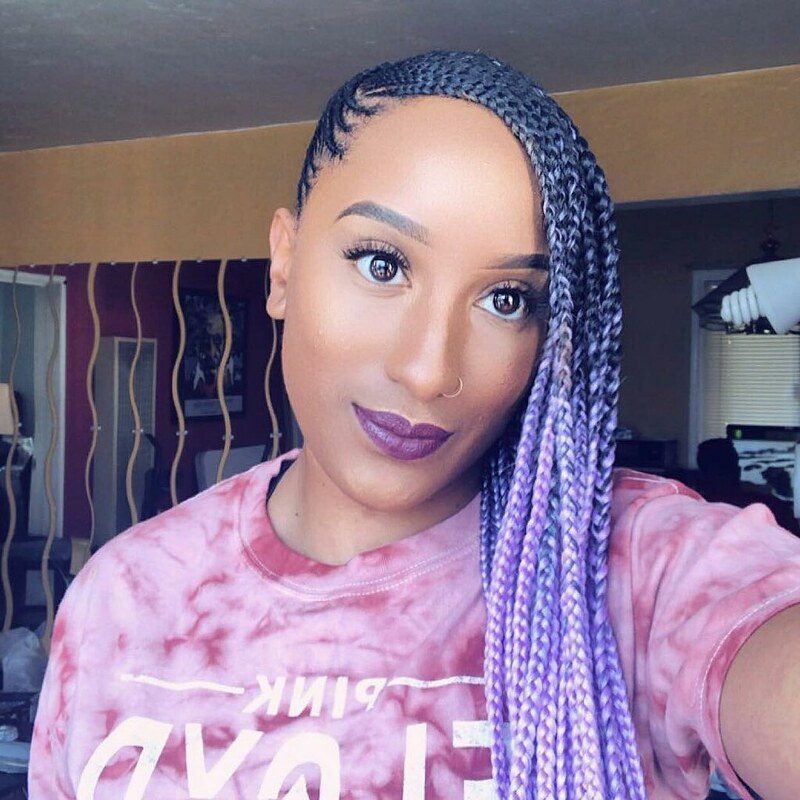 Exclusively, Bre’aunna named Ebena stylist of the month got to talk to us about her channel and shared some interesting facts about her life as a self-taught hair stylist in the bay area. Here are eight questions answered for us by Bray! My mother did hair, so at a young age, I would always work on my dolls head as she styled her clients. She initially taught me how to braid. From there, as I got older and began to do my own hair or work on one of my best friends and family members and so my skills began to really develop. What made you start a Youtube channel for hair styling? I would always watch other YouTubers before starting my channel and would always think to myself that their ways of teaching were complicated or I knew of other more simple ways to achieve what they were doing. Also, knowing that I was really good at braiding my own hair, I thought it would be interesting to start my own channel, so I did. How do you feel about hair product junkies? Do you believe in trying multiple products? I love hair product junkies! I think most times it’s necessary to use multiple products and I also feel it’s equally important to try multiple products. You cannot use the same thing for every hair type, and also products change and so do processes, so it’s important to try different things. I’ve used things for years thinking it was my favorite until I found something better! You lived in Hawaii for six years. How was that life experience? Living in Hawaii was definitely one of the best decisions I have made. I moved to the island of Oahu right after high school, and it was such an eye-opening experience. It is so diverse, and so culturally different there, and I learned so much about myself and adapting to their lifestyle. Compared to California it’s extremely laid back, and it was nice to live that chill life for a while, but eventually, I did have to move back home I became stagnant. However, I met amazing people, all of my best friends now I met in Hawaii. One thing people would be surprised to know is that I actually used to hate doing hair. For a while, people asked if I would go to cosmetology school and I was like "Absolutely not." I used to hate when people referred or recommended me. If you had to do a celebrity's hair, who would that be? If I were able to do a celebrities hair, I would definitely want to braid Beyoncé’s hair. I would literally die, once the job is done of course lol. What hairstyles do you recommend? I love Box Braids! I always recommend box braids because they are super versatile and a great protective style. They last really long also and so you definitely get the most for your money. What is the best way to book a hair appointment with you? The best way to schedule with me is online through my website at Styled by Bray. 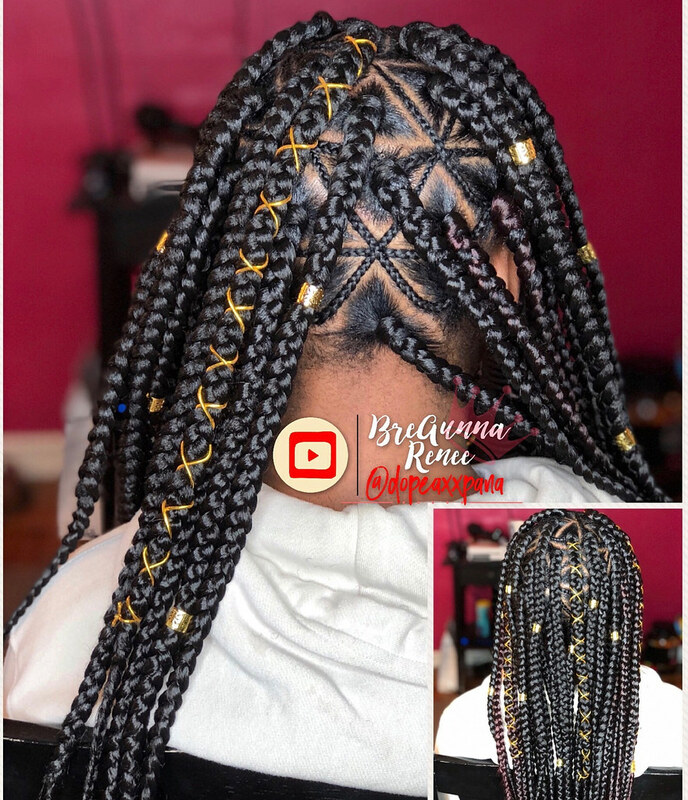 Check out our handpicked braids videos by Bray!